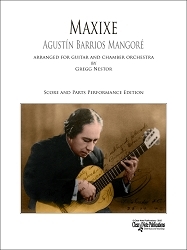 Publication's Style: Soft Cover - 9" X 12"
This composition is a response to two dilemmas which face guitarists. First, there is a small (if rich) body of J. S. Bach literature available to the guitarist: five multiple-movement works for lute, five works for unaccompanied cello and another five for unaccompanied violin. (While Bach wrote six Cello Suites, the fifth, BWV 1011, is the same piece as Lute Suite BWV 995; similarly, of the six Sonatas and Partitas for solo violin, the third Partita, BWV 1006, is the same as the Lute Suite BWV 1006a). 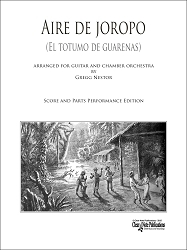 Any longtime player or teacher of the instrument is bound to suffer eventually from overexposure to these precious works. 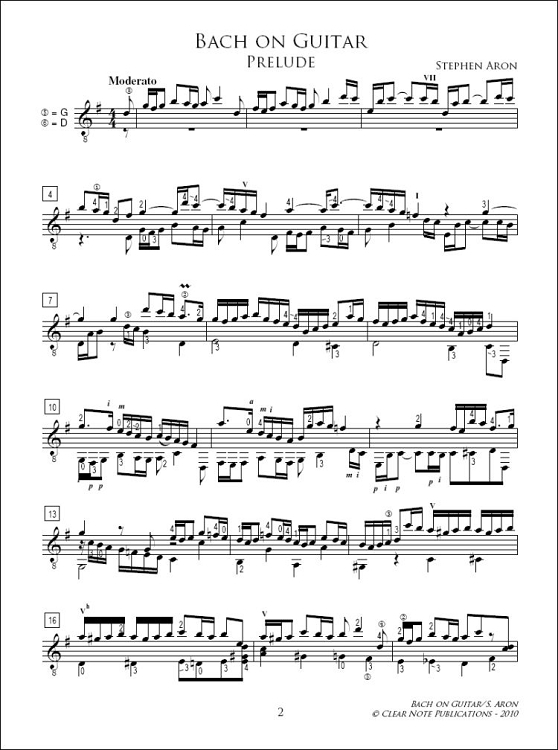 Second, the keyboard works of Bach transcribe only with difficulty to the guitar. The solution, as presented in this edition, was initially a lark: I'll write "my own Bach suite!" Having played and taught the music my entire life, this seemed plausible, even sensible. I began writing this suite, naturally, with one eyebrow cocked in self-awareness: one doesn't just sit and write music like the greatest composer who ever lived and take the effort seriously! It was with this slightly mischeivous, bad-boy attitude that I proceeded to sketch the Allemande. Unexpectedly, I enjoyed playing the resultant piece so much that I went on and wrote the remaining movements right away, producing the suite in a three-week stretch in November, 2009. I have no intention of trying to "pass-off" the work as a "lost" Bach suite (as was suggested by several). I make no claims that it is in any way of the quality of the master's work. But it is highly idiomatic and enormous fun to play. It is different from the other Bach works we play and yet is unquestionably Bach-like. It has many of the master's signature elements and has a few surprises as well, much as Bach's own works often surprise. 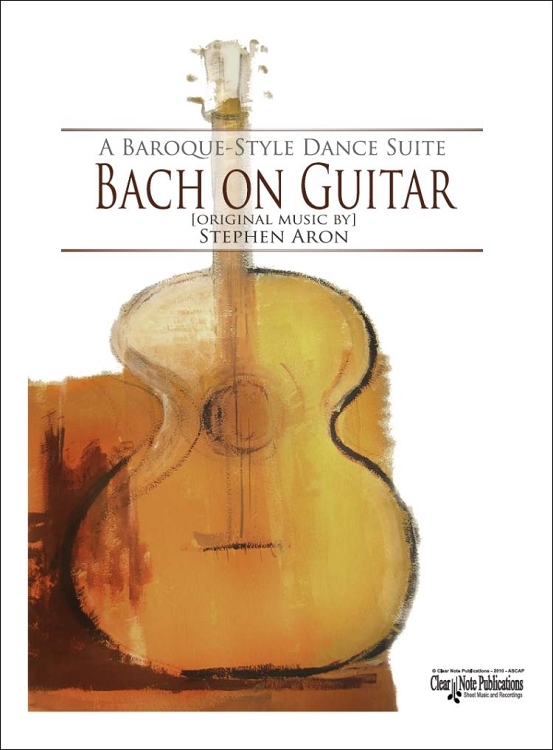 Encouraged by audiences and colleagues, it has become my own contribution to playing "Bach on Guitar."